For tourists exploring a new city, finding local events is a challenge. When you don’t know the area’s venues, neighborhood happenings, or seasonal gatherings, how do you find cool cultural events, festivals, or nightlife? For event organizers and travel companies, millions of tourists looking for something to do presents an opportunity—and your WordPress event calendar is a handy way to jump on that opportunity. By beefing up your calendar, you’ll make it easy for vacationers to find the events they’re looking for, while also gaining valuable exposure to future customers. Helping tourists is a win for you and a win for them. You might even help your local economy! So, what’s the key to a truly helpful travel calendar? It starts with WordPress event categories. Just like traditional WordPress categories, event categories help break up content on your site, making it easier for tourists to search and sort the events they’re interested in. Calendars can be filtered by event categories and categories can also be hierarchical. That means you can use subcategories to get even more specific for vacationers with particular tastes. 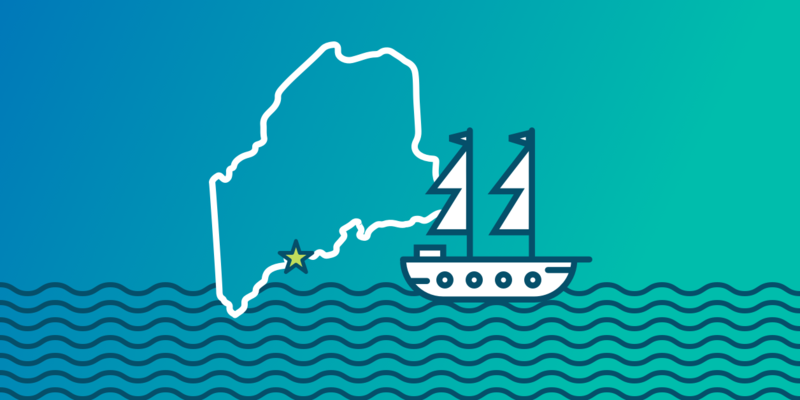 Below, we’ll take a look at how the city of Bath, Maine uses event categories on their WordPress site to help drive more engagement from tourists. Lots of travelers already know what they’re looking for in an event. Maybe they want live music or a quaint local farmers market. Tourists on the VisitBath.com calendar can conveniently filter events by topical categories like children’s events, arts, or business. Vacationers in Bath don’t need to look far to find a smorgasbord of local events organized by category. When you hover over “events” in Bath’s main menu, you’re greeted with a drop-down list of event categories broken down by event type and season. Organizing event categories by season is another win for tourists and for your business: You’ll make it easy for visitors to find events at a given time of year while also driving engagement around your most important seasonal events. In nice weather, we love walking. In cold weather, we want a ride. Help tourists take the right mode of travel by using WordPress event categories to organize events by location. For Bath, that means categorizing events by city or town so that visitors and locals alike to find the events they want right in their own backyard. For your business, organizing events by location could also mean categorizing by neighborhood or by venue, depending on how specific you want to be. VisitBath.com provides a real-life example of how small tweaks to your calendar—like creating useful topical categories, bringing events into your main nav, and organizing by location—can make a serious difference for vacationers. By taking simple steps to optimize your WordPress event categories, you’ll ultimately have an events calendar that performs double duty. First and foremost, it will be an invaluable resource for tourists. Beyond that, you’ll also be able to use your calendar as a powerful tool for promoting your events and your business. Who says you can’t mix business and pleasure? For more website tips and other news from The Events Calendar, sign up for our monthly newsletter.